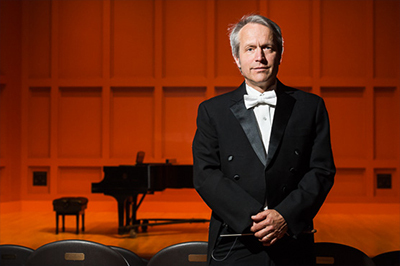 For the past 32 years, Steven Errante has served as a professor in the UNCW Department of Music and conductor of the Wilmington Symphony. What excites him about both roles is the connection between the classroom and the concert hall. REMINDER: Register for a Table/Volunteer for May 10 Staff Senate Strides Event by This Friday! The last SWOOP of the semester will be distributed May 8. SWOOP Lite begins June 5. 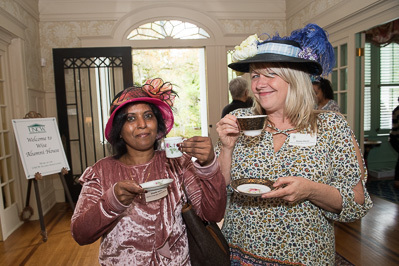 Giselle Ennis and Diana Perez are pictured at an Afternoon Tea hosted by the Engagement, Retention and Development Talent Advisory Board on April 24 in celebration of Administrative Professionals’ Week.